Selling your home in Dane County or Madison, Wisconsin? We are Madison listing agents who know Dane County real estate. View our high-tech, internet-heavy listing plan below. Learn how our ultra-aggressive real estate marketing plan will help you sell your home quickly and for a high market price. Brought to you by your Madison and Dane County listing agents and real estate marketing specialists, Keller Williams Realty, Madison WI. How can we help you sell your Madison area home, condo, lot or acreage? We’ve listed over 30 different ways below. As your full-service Madison WI Realtors® we commit to getting your property sold quickly, on your terms, and for a top-dollar price. And we promise to always deliver the level of service that you expect from listing agents in today’s fast-changing market. We serve our selling clients in Madison, Dane County and South Central Wisconsin. Our Madison, Wisconsin listing agents are here to provide you with superior service and expert advice from the day of your first consultation until the day you close. We are also big believers in the team concept. We have assembled a team of supporting professionals who provide you with the focused expertise and dedicated support you should expect in today’s competitive market. Our interior designer/stager will help you stage your home to look its very best. Our stager has a degree in interior design and has successfully staged hundreds of sold homes. Some Realtors who have taken a course in staging will offer to stage your home for you. We strongly believe our clients receive the very best staging advice and service because it comes from an experienced professional. Our professional photographer/videographer will produce the photos and video tour whose quality go unmatched in our market. Keep in mind getting your home sold in this market is a numbers game. The better your home looks online, the more showings it will receive. And more showings lead to a quicker sale and a better price. How your home looks online is hugely important. 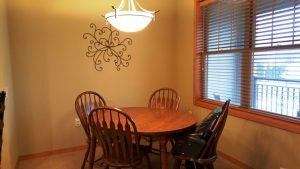 You don’t want a Realtor taking your listing photos. You want a professional. Our administrative support team will work with you to ensure every piece of your marketing plan is successfully implemented. As you will see below, we work hard for our listing clients. When you hire us to sell your home, you hire not just one agent, but an entire team. Keep in mind the marketing elements outlined below are just the basics. We do much more for each and every one of our clients. Your final marketing plan will depend a lot on your goals, property type and location. 1. Hire an interior designer who will help your home look its best. The designer will tour your home with you and offer simple solutions that will help your home show well. The consultation will focus on which items should “stay” and which should be “packed away” prior to putting your home on the market. The designer will also recommend simple and inexpensive ideas that will allow you to emphasize your home’s nicer features. Our stager has an interior design degree and has successfully staged hundreds of homes. Here are some recommendations from a recent consultation. 2. 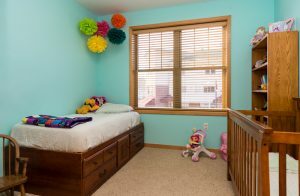 Hire a professional photographer to create the photos for your listing. Over 90% of all home buyers now shop online, so it’s critical that your photos be of very high quality. Great photos can create a great impact. Our photographer uses high-end equipment with a wide angle lens. He adjusts for lighting to make each room appear as bright and spacious as possible. Below are some sample photos from recent listings. This link includes additional photos. Note the professional staging that went into each of these listings. 3. Create a professional HIGH DEFINITION video tour that is syndicated on Youtube.com, PropertyTube.com, TheDailyPage.com, Wellcomemat.com, DailyMotion.com, WisconsinRealEstateVideo.com, WhirligigHD.com, HDHatHomes.com, RealEstateVideoToursHD.com, Activerain.com, and many other web sites. Videos sell. 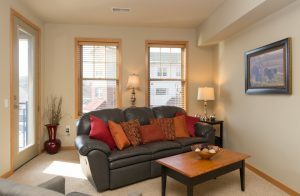 Our high quality video tours are professionally narrated, providing online buyers a virtual walk-through of your home. 4. Post your listing on the DaneCountyMarket.com home page. Our web site has become an extremely popular destination for local buyers and continues to grow quickly. We currently receive over 100,000 page hits per month. 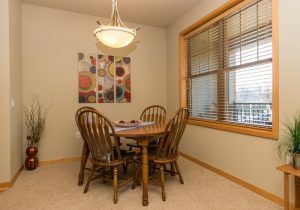 In addition to our web site, your listing will appear on hundreds of other web sites such as Wisconsinhomes.com, Realtor.com, Google Maps, Yahoo Real Estate, Zillow, Trulia, Oodle, RealtyTrac, FrontDoor.com, HotPads.com, TweeterLister.com, Point2Home.com, Geebo.com, Yuvie.com, Homescape.com, PropSmart.com, HouseLocator.com, Local.com, CyberHomes.com, Relocation.com, HomesOnTheTube.com, PropertyShark.com, PropertyPursuit.com, AOL Real Estate, HomeFinder.com, GoHoming.com, Overstock.com, Enormo.com and MyRealty.com. 5. Feature your listing with enhanced visibility on Trulia, one of the most widely-used real estate web sites in the country. We invest in a Trulia marketing plan that provides all of our listings with increased exposure, resulting in more property views from active home buyers. 6. Feature your property on Zillow, another top national real estate portal. As a PREMIER AGENT on Zillow, your listing receives preferential exposure and only our contact information can be displayed next to your featured listing. Who knows the most the most about your listing (besides you of course)? Us or some random agent paying for buyer leads? The other agents just care about someone inquiring buying any property. We care about your home selling success! 7. Place a reflective, highly-visible “for sale” sign in your yard. Unless your condo or homeowners association’s documents do not allow it. Our data shows a yard sign still is important in your home selling success. 8. Contact other agents who have recently scheduled buyer showings for homes comparable to yours. We will run a report that queries our showing line database. The report will give us the names of the agents who have shown homes similar to yours in your location over the last two months. 9. Conduct periodic open houses as your schedule allows. 10. Create a professional, high quality marketing book for every person that tours your home. The booklet will highlight the features of your home and neighborhood, including information about area schools, parks, entertainment and shopping destinations. 11. Advertise your listing on the DaneCountyMarket.com Facebook page. 12. Place regular advertisements on craigslist, so your listing is routinely refreshed back to the top of the list. Your craigslist advertisement will include your professional photos and and a link to your video tour. 13. Place regular advertisements to the ClassifiedAds.com and Backpage.com, giving your listing exposure on national, classified ad web sites. 14. Post your listing to Google+. 15. Provide your listing with its own web page, based on the address of your home (for example, 123mainstreet.com). We’ll incorporate your web site into our marketing media, giving buyers an easy way to learn more about your home. 16. Perform a “reverse search” of the MLS and contact real estate agents assisting clients that are looking for a home similar to yours. We will then invite these agents to tour your home. 17. Provide your listing with text message marketing. Your yard sign rider will include a text message number. Buyers will be able to text the number and receive an immediate response that will include the details of your listing. Our system stores the buyer’s cell phone number, allowing us to follow up directly with the buyer. 18. Implement search engine optimization (SEO), so your listing is highly visible to online consumers who use Google and other search engine tools to locate properties. We’ll be happy to show you how this works. 19. Create professional print flyers for you, so you can let people know about your listing at your place of work, place of worship, etc. 20. Create a high quality, electronic flyer that you can email to you own network of friends, neighbors, co-workers, and family members. Your contacts can then spread the word about your listing to their own set of acquaintances. Item #21 below explains how you can save money by finding your buyer. 21. Implement a variable commission structure. We offer variable commission incentives that will provide you with a nice savings under two different scenarios. If the Dane County Market team finds your buyer, and the buyer is not working with another agent, we can substantially reduce your overall commission. If you, a friend, an acquaintance or family member finds the buyer, and the buyer is not working with another agent, we can substantially reduce your commission under this scenario, too. We can offer a large commission savings for the two scenarios above because we’ve worked together to eliminate an agent on the buying side. There’s no reason you should need to pay the full buying side commission if we’ve worked to eliminate a second agent from the transaction. 22. Provide regular updates on market changes in the neighborhood, including information on price changes, new homes entering the market, recently accepted offers, and recent closings (including sales price). Our goal here is to make sure your home remains competitive with the other homes on the market in your neighborhood. 23. Provide regular feedback from agents and buyer candidates who have toured your home to make sure your marketing plan stays on track. 24. Create an amenity sheet in electronic format. We will attach the amenity sheet to your MLS listing, so buyer agents have an easy way to email to their clients more information about your home’s features. 25. Provide you with the very best in support. We commit to every element of your marketing plan in writing, and then we follow through on every commitment we make to you. 1. Implement a blogging campaign about your home or condo. Our blog posts will feature the highlights of your home and your professional video tour. 2. Announce your first open house by sending a postcard to the neighborhood a few days prior to the open. This strategy makes sense in neighborhoods with relatively low inventory levels, and in neighborhoods where residents recruit their friends to move to the area. In some cases we can also announce your first open house by sending an email to the people in your neighborhood. 3. Conduct a neighborhood-wide open house. We can collaborate with other agents in the area to organize and promote a neighborhood-wide event. This will bring more buyers to the neighborhood and to your open house. 4. If you have a starter home, market your home to first-time home buyer candidates. We can reach first-time home buyers in a number of different ways. Feel free to contact us to find out how. 5. Offer a home warranty. The warranty lasts for a period of one year after the purchase, giving your buyers peace of mind. 6. Contact top-producing agents with information about your listing. We can reach out directly to agents who routinely assist a large number of buyers. 7. Conduct a “broker open” – an open house strictly for real estate agents. A broker open gives your home more exposure to buyer agents. It also offers you an opportunity to receive feedback from agents who tour homes every day. 8. Place directional signs in your neighborhood. Depending on your location, some well-placed signs can help guide commuters to your home. 9. Help you find a professional cleaning crew for detailed cleaning. Your home will sparkle when a professional cleaning crew is done. 10. Implement other strategies that are a particularly good fit for your home. There are plenty of other ways that we can market a home. We’ll be happy to sit down with you, learn more about your goals, and offer you some additional suggestions. We’ll also look forward to learning about any creative marketing ideas that you may have for your listing. Below you’ll see our interior designer’s staging recommendations for a recent client. Our client chose to implement many of the designer’s recommendations, all of which were simple and cost-effective. Once the staging was completed, we brought in our photographer to take the pictures for the listing. The end result was a home that looked great on-line and in-person. This particular home received 14 showings and 2 offers in two weeks. The second offer was accepted on day 17 of the listing. Foyer: Remove window treatment. Make a small valance to replace it. Foyer: Purchase a new rug. 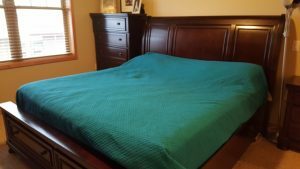 Guest bedroom: Replace bedroom desk with end table from living room. Guest bedroom: Place artwork above bed (ideas attached). Child’s bedroom: Reverse position of the bed and dresser. Child’s bedroom: Put green and yellow bedding on the bed. 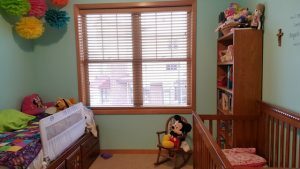 Child’s bedroom: Move lamp from bookcase to the dresser. Blue bathroom: Hang white and blue towels on towel rack. Blue bathroom: Add plant to back of toilet. Blue bathroom: Put away personal items. Living room: Move lamp by sofa into guest bedroom. Living room: Check Bed, Bath & Beyond for “Three Lamps in a Box”. Living room: For open house add a vase of fresh flowers to center of cocktail table. Kitchen: Remove paperwork from counter. Kitchen: Add some greenery to the top corner cabinet. Kitchen: Spread your striped pottery out among your greens. Kitchen: Place one of the striped bowls on the counter island. Place fresh fruit in the bowl. Dining area: For open house, set the table. Include placemats, plates, napkins with rings, and goblet. Dining area: Add fresh flowers and candles to the center of the table. Master bedroom: Separate dressers. Move one to the wall by the bathroom door. Master bedroom: Purchase artwork for above the bed, or use your existing UW artwork. Master bath: Use cream towels. Master bath: Clean up the rack above the toilet. Master bath: Use the larger of the two rugs on the floor. Lower level: Move sectional to the left in order to allow for easier access to the closet. Lower level: Pack away games and some of the toys. Lower level: For open house, set up a board game on the cocktail table. Office: Angle bookcase in corner. Lower level bath: Purchase new towels in a pattern. Lower level bath: Fill glass vase with potpourri. Outside: Add potted flowers to front stoop and back deck. 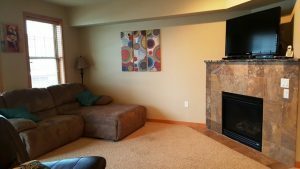 Staging and quality photos can make a huge difference in the success of listing. All of these photos come from the homes of recent clients. Note how our photographer makes each room appear as bright and spacious as possible, exposing the details of each room and giving each room plenty of depth. CLICK HERE TO WATCH AN INTERVIEW WITH ONE OF OUR PROFESSIONAL STAGERS.